Full planning permission for 53 attractive houses in this existing residential development. 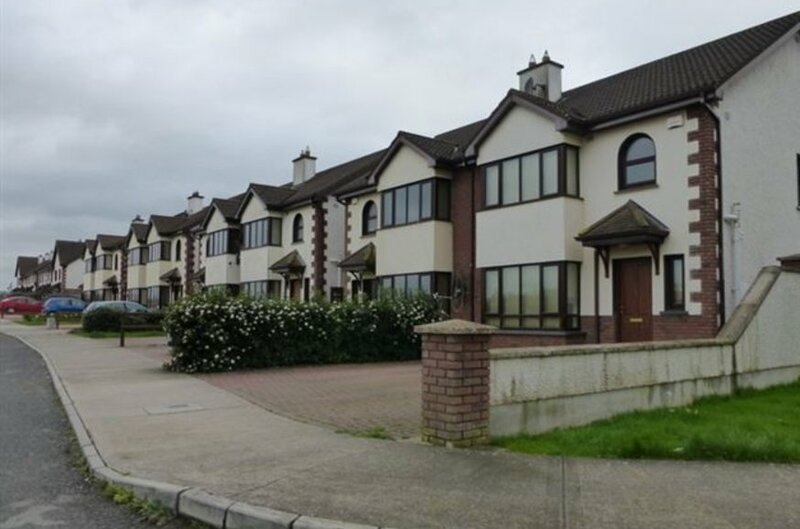 Well-established residential estate only 550m from the heart of Callan town and close to all the amenities of this expanding town with a population of 2,475 persons (2016 census). 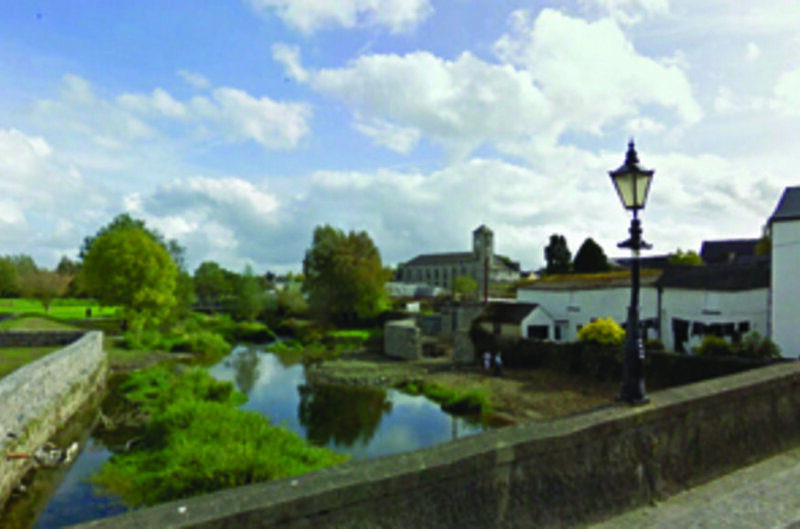 Callan is a busy town situated 10km west of the M9 at Junction 9, only 15 minutes’ drive from both Kilkenny City and Clonmel and 45 minutes’ drive from Waterford City. The development is to comprise 16 four-bed houses and 37 three-bedroomed houses of which 7 are terraced and 47 are semi-detached. Both Cork and Dublin are within easy reach via motorways. Title: Freehold. Callan is a busy town situated 10km west of the M9 at Junction 9, only 15 minutes’ drive from both Kilkenny City and Clonmel and 45 minutes’ drive from Waterford City. Both Cork and Dublin are within easy reach via motorways. It has a population of 2,475 persons (2016 census of population). There are generally excellent bus services to and from Kilkenny/Carlow and Dublin. Callan is an ancient regional market town, founded by William the Marshal in 1217 on the King's River, and in 2007 celebrated its 800th celebrations of the town being granted a Charter. The town was strongly fortified in mediaeval times. The remains of St. Mary's Church are in Green Street in the town and the west tower is all that remains of the original 13th century building. In the main street stands a memorial to Edmund Ignatius Rice, founder of the Irish Christian Brothers, who was born in the town, and whose family home is open to the public. 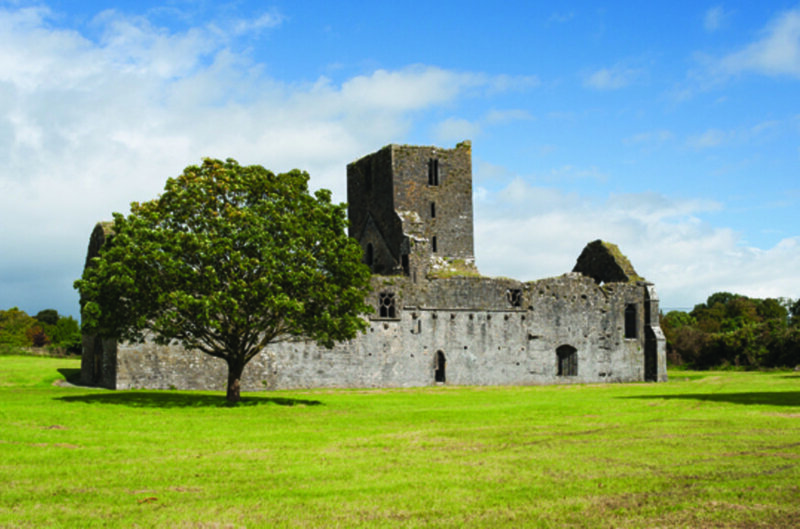 The Callan Augustinian Friary, known locally as the “Abbey Meadow” is located to the north-east of the town on the banks of the King’s River. The town centre contains a number of attractive prominent buildings to include banks, the Abbey, Churches, Town Hall and the former Workhouse as well as having a well preserved streetscape with many attractive shopfronts and public houses. 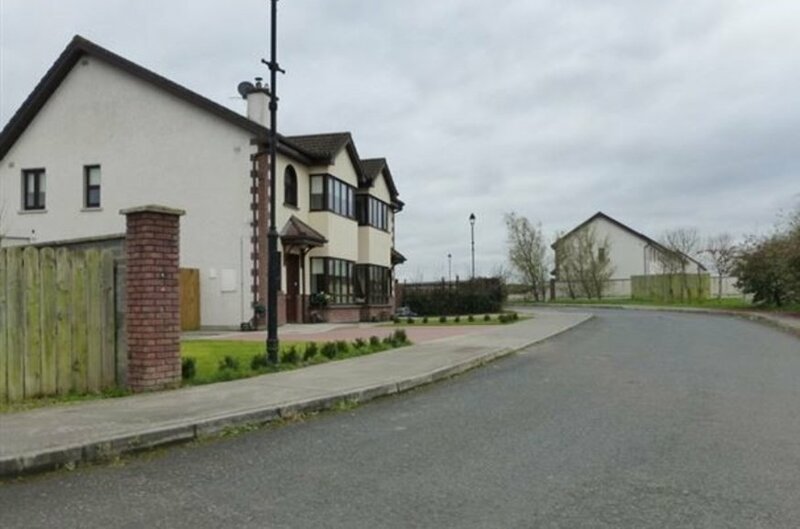 The town has a large new primary school, 2 secondary schools, churches, public houses, supermarkets (Supervalu and Aldi), and services and sporting amenities to include Callan Golf Club which is situated 2km from the town centre. 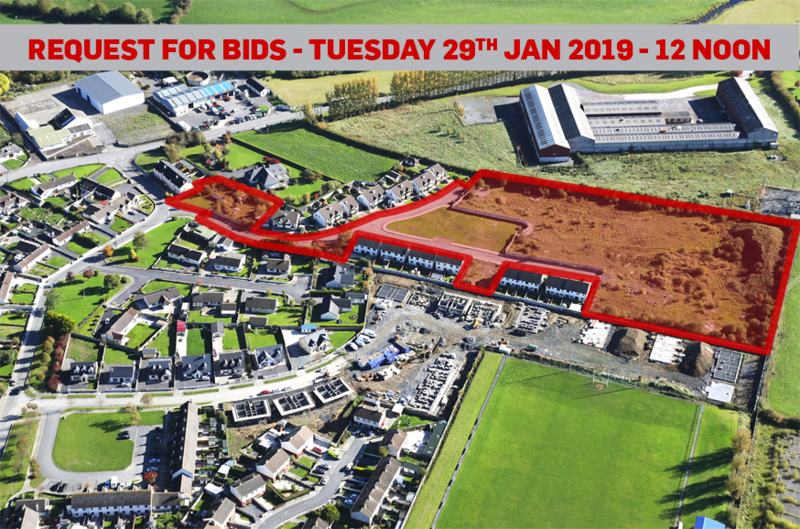 The property is situated on the southern side of Mill Street on the eastern side of Callan and comprises an irregularly shaped site of approximately 2.31 hectares (5.7 acres) situated within the existing housing estate of Kings Court. There are good local retail services along Mill Street in Callan. 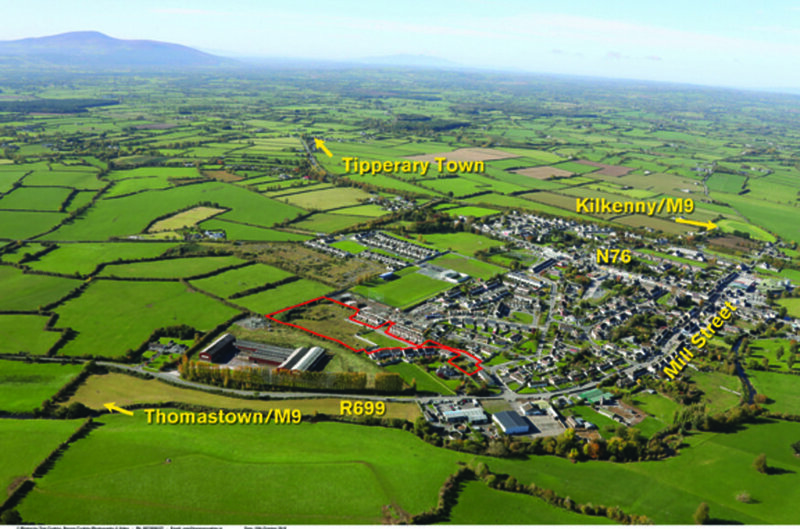 Kilkenny City is a short drive and offers a wide range of shops and additional amenities. The site has planning permission for a scheme of 53 units, which includes 37 three-bedroomed houses, 16 four-bedroomed of which 7 are terraced and 47 are semi-detached houses. Reference no: 18/124. The planning permission also includes the upgrading of existing roads and open space within the estate. 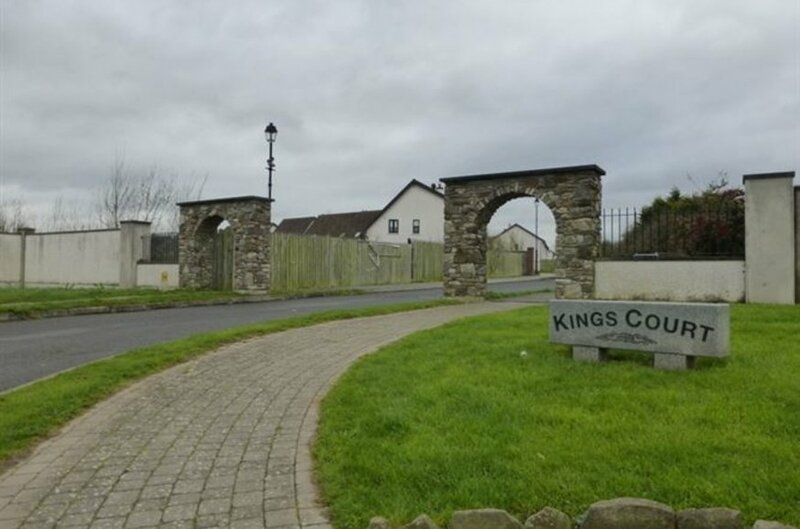 The property is situated in an area that is zoned R1 “new/purposed residential - to create a sustainable community and protect and enhance amenities in existing residential areas”, under the Kilkenny County Council Callan Local Area Plan 2009-2015 as extended. A copy of the planning permission, plans and further information is available from the sales agents.